Run to your nearest JCPenny and grab THESE(click here) jeans!! I was in my local store asking about another piece from the Stylus range and the associate told me they are clearance-ing out everything by that brand. She pointed me toward the rack and I spotted these baby blues for 7 BUCKS!! Not only are they an unbelievable price but the fit, style, and quality are fantastic!! 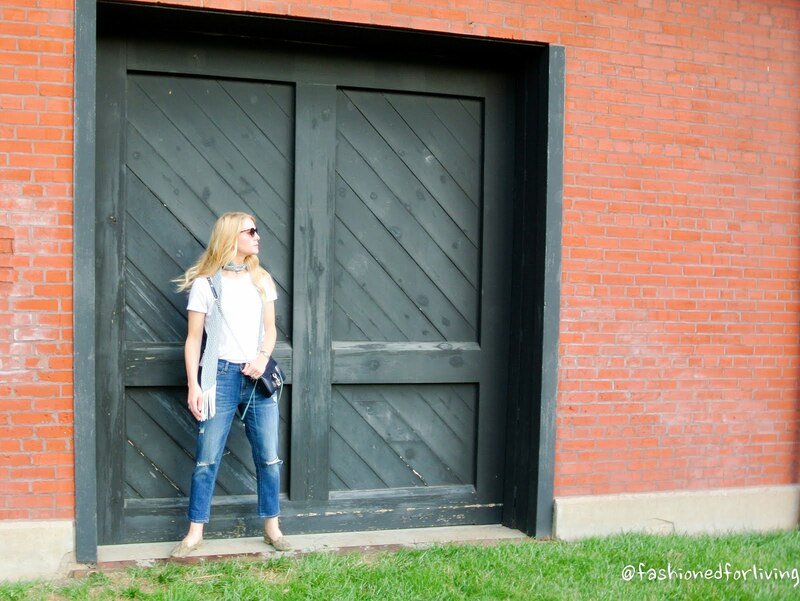 The style is a boyfriend crop...AKA comfy jeans you never want to take off! The jeans are priced at around $25 online, and also come in white. Use a coupon and get them for 20 ish bucks!! Can't beat that! ...or pop in your local store and try to snag them for $7 like I did!! I've paired the jeans here with a plain white tee and a silk scarf, but these jeans are going to look fabulous with just about anything! JEANS - JCPenny - click here! ps. the white jeans are not sold out and are the same style as mine. not sure why its showing up like that!